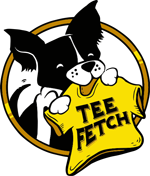 The Products and retailer TeeFury are very high quality at fantastic prices starting at $11 for the Limited Edition Screen Printed tees and $20 - 22 for the Print On Demand shirts. As for the tees, the blanks are very comfortable, they are regular fit and feel like the "Hanes Beefy" heavy weight tees. The fabric material is 100% Combed Ringspun Cotton and it is as durable as an organic material can be. The brand of blanks are Alstyle and Tultex. As for sizing, the Big and Tall (bigger than 3XL) tend to miss out on some great deals. As for the printing method, they use the Direct to Garment (DTG) Digital Printing technique for their Collections (with the exception of a few) and Gallery tees. But it is better than average Digital Printing, definitely on the top 5 for P.O.D. brands. They got good ink coverage. The color is good but like with most P.O.D. services the Red is a little muted (may not appear so in the photos due to the camera's HDR mode). The ink thickness is average. To make the designs last, wash the tees inside-out (especially for the first wash) to avoid any harmful interaction with the inks during the washing and drying process. To avoid fabric shrinkage and possible design flaking, air or hang dry rather than use a machine dryer. They usually offer 2 or 3 fabric color choices per tee. Sometimes more choices would be better. Overall, we feel that this Quinn of Diamonds tee is a worthy purchase and therefore should not result in any buyer's remorse.